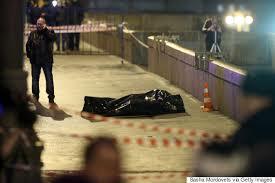 The assassination Friday in Moscow of Russian Boris Nemtsov, a strong critic of Russian leadership, reminds me very much of a similar attack in 1963 that killed Greek politician Grigoris Lambrakis. See the details below which I have glommed from quick research and slightly edited. “His death, two days before a planned opposition march, has also outraged fellow opposition figures and prompted a slew of speculation over who could be behind it. Some government critics pointed fingers in the direction of President Vladimir Putin or one of his supporters. 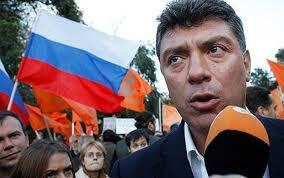 State media reported Nemtsov had received threats linked to his stance on the Charlie Hebdo attack in Paris. He had been arrested several times for speaking against Putin’s government. The most recent arrests were in 2011 when he protested the results of parliamentary elections and in 2012 when tens of thousands protested against Putin. He had most recently been critical of the Kremlin’s handling of the Ukraine crisis. 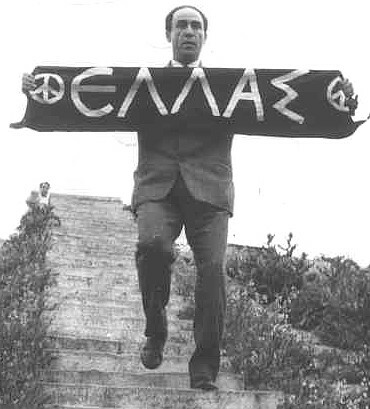 On May 22, 1963, shortly after democratic Greek politician Grigoris Lambrakis had delivered the keynote speech at an anti-war meeting in Thessaloniki, two far-right extremists, two men driving a three-wheeled vehicle, struck Lambrakis with a club over the head in plain view of a large number of people and (allegedly) some police officers. He suffered brain injuries and died in the hospital five days later, on May 27. The next day, in Athens, his funeral became a massive demonstration. More than 500,000 people rallied to protest against the right-wing government and the Royal Court, seen by many to support the activities of the right-wing extremists. The assassination of Lambrakis initiated an enormous popular reaction, and soon after, investigator Christos Sartzetakis, district attorney Nikos Athanasopoulos and Attorney General P. Delaportas uncovered connections of the police and army to far-right extremists. The Greek military junta of 1967–74, commonly known as the Regime of the Colonels or in Greece simply The Junta, The Dictatorship and The Seven Years, was a series of right-wing military juntas that ruled Greece following the1967 Greek coup d’état led by a group of colonels on 21 April 1967. The life and death of Grigoris Lambrakis inspired the author Vassilis Vassilikos to write the political novel “Z”. The title stands for the first letter of the Greek word “Zi” (“[He] Lives!”), a popular graffito which began to appear on the walls of the buildings of the Greek cities in the 1960s, illustrating the growing protest against the conditions that led to the assassination of Lambrakis. An epilogue in the film provides a synopsis of the subsequent turns of events. Instead of the expected positive outcome, the prosecutor is mysteriously removed from the case, key witnesses die under suspicious circumstances, the assassins receive (relatively) short sentences, the officers receive only administrative reprimands, the Deputy’s close associates die or are deported, and the photojournalist is sent to prison for disclosing official documents—mostly the result of the dictatorship which was repressive and brutal.